Susan Pomeranz, MFT, B.B.S.E. Certified Hypnotherapist, Certified Tai Chi Leader, Psychotherapist, has had over 20 years in private practice in Los Angeles. 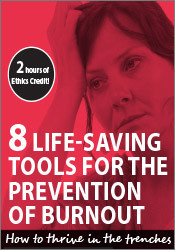 After a flourishing practice, Susan began experiencing the devastating and far-reaching effects of burnout, and not having a framework for prevention nor treatment to draw from, spent five years researching and compiling evidence-based practices that reduce stress and beneficially change the neurochemistry of the brain. In addition to her private practice, she designed and ran the eating disorders out-patient programs at The Rader Institute in L.A. She also privately ran alternative treatment programs for the healing of addictions and addictive behavior. She has studied with world-renown teachers of Tai Chi and Qigong, Dr. Roger Jahnke, the director and founder of the Institute of Integral Qigong and Tai Chi, in Santa Barbara, California, and Dr. Keith Jeffery, who has developed a modern approach to this classical art by synthesizing the Yang and Chen Style Tai Chi with basic Qigong exercises. Susan was also a private student of Sufi Master, Leo Mahsoud, for seven years in San Francisco, where she studied yoga, meditative dance, Sufi philosophy and nutrition. Susan has extensively lectured and presented seminars throughout the United States including such institutions as the UCLA School of Psychology, University of Judaism and Antioch University. With her dynamic flair for speaking and an irreverent off-beat sense of humor, Susan provides not only great insight into those subjects that she teaches but seminars that are compelling and highly entertaining.